When Catriona McKay took up the harp, she didn’t so much acquire a third instrument as collect her passport. The Glasgow-based Dundonian was already studying piano and playing organ in St Mary’s Parish Church, one of Dundee’s imposing City Churches with its locally famous Old Steeple, when in her early teens she took a notion for the harp. Things may be different nowadays but back in the late 1980s and early 1990s Dundee wasn’t exactly harp central. There was one player of the clarsach, or Scottish harp, that McKay was put in touch with in slightly mysterious circumstances, Fiona Davidson, now best known as a keeper of the storytelling harper tradition, and she agreed to give McKay lessons. Except, the pupil had no harp and for the first few months McKay would go along for a lesson every week and not practise between times. Not ideal but eventually McKay’s father got hold of a harp kit and put her first harp together, narrowly avoiding making it back to front apparently. Fast forward to the Royal Scottish Academy of Music and Drama, now the Royal Conservatoire of Scotland, in Glasgow where McKay took an honours degree in music, specialising in organ and pedal harp. On the same course, studying violin, was Chris Stout. McKay quickly discovered that Stout, originally from Fair Isle in the Shetlands, played traditional music. She approached him and asked if he fancied playing some tunes. His response on discovering that McKay played the clarsach, may cause him to look away now. “He turned up his nose and said, Naah,” says McKay, laughing. From this inauspicious beginning a partnership developed that now leads the field in daring explorations of traditions from Shetland to Brazil. Then, on a visit to Shetland not long after Stout relented, the pair having struck up a friendship with another student, piper, saxophonist and whistle master Fraser Fifield, McKay found herself taking the vacant piano stool in Fiddlers’ Bid, which Stout and some school friends had formed as fourteen year olds. McKay’s harp, as well as her keyboard playing, gave and continues to give the band another dimension. To date, McKay and Stout recorded two duo albums of tradition meets white hot creativity as well as recording with Irish singer-accordionist Seamus Begley and collaborating with Stirlingshire-based composer Sally Beamish and the Scottish Ensemble, on their Seavaigers album. In addition, McKay has a working duo with nickelharpist Olov Johansson, of Swedish virtuosi Vasen. She has also recorded with electronics composer Alistair MacDonald and Glasgow Improvisers Orchestra and has guested with Salsa Celtic, Aidan O’Rourke, of Lau, and bassoonist Laurence Perkins, among other projects. On all of these she plays her regular gigging clarsach, which she had her harp designers, Starfish, adjust specially for the first album with Johansson to match the baroque tuning system he uses for the sympathetic strings on his nyckelharpa. 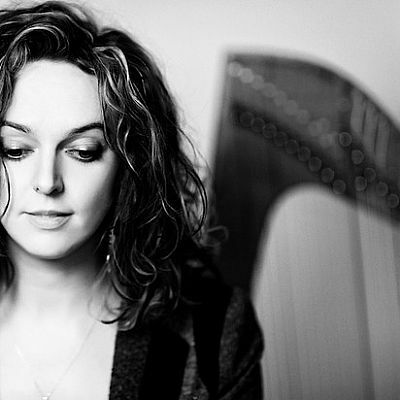 Away from stage and recording studio – mostly – however, she works on her own custom designed Starfish McKay harp, which featured on her album Starfish. With a chromatic scale in the middle of the clarsach’s normal range (five extra strings, all with levers that when engaged raise the string a semi-tone) this favourite harp offers McKay all sorts of possibilities. As we speak McKay and Stout are in the middle of recording the follow-up to their White Nights duo album and have larger scale works in the diary with Edinburgh-based chamber music adventurers Mr McFall’s Chamber, composer-arranger Henning Sommerro, who worked on fiddler Aly Bain’s orchestral album Follow the Moonstone, and Finnish pianist-composer Timo Alakotila. The Starfish McKay harp probably won’t feature directly on these projects but McKay is certain that it will contribute to them in some way.